When we approached Steelehouse about being a part of Animation Career Review's interview series, they immediately pointed us toward Eric Lee, their Lead Animator. And now I understand why. Animation is in Eric Lee's blood. When Eric was in just the 7th grade he became a finalist in the Blockbuster World Game Championship, and that was just the beginning. Following his love of entertainment he joined the business after receiving his degree in Broadcast Design. 8 years ago Eric joined with Steelehouse and with his mulch-disciplined animation skills he now leads their animators and puppeteers—which I suppose makes him a master puppeteer...and one helluva animator. Depending on the perspective you would prefer I would direct most of these questions towards our lead animator, Eric Lee, who is a master of many animation disciplines and has been with us from the beginning. Should you want to compliment that with a Producer's perspective I would be happy to answer any questions as well. 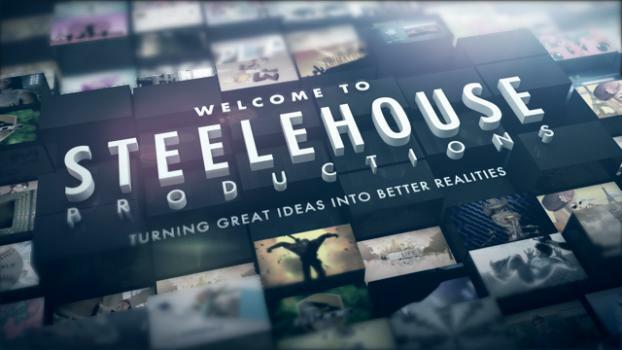 Steelehouse focuses primarily on short-form animation, including music videos, commercials, webisodes, etc., as well as internal IP development for various animated properties. We go where the work is! Steelehouse :) But seriously, animation is still in its infancy as an industry and I'm not sure I can pinpoint any area that doesn't have huge potential for continued growth. One aspect of animation in which I think there will be a continued demand and exploration is interactivity. Interactivity is starting to pry into all sorts of areas including TV, movies, comics, applications, and games of course, all which require extensive animation in order to be effective. Animation is a blast to be involved in as it is an extremely creative art form with an ever increasing toolbox/palette. It is always exciting to watch your art/characters/emotions spring to life, and it can be a very rewarding experience. The worst part is that it is often a tedious and time-consuming process. We produced a 9 episode web series for Hasbro’s GI Joe on a very limited schedule/budget. It was a good opportunity to stretch our muscles on a larger project over a longer period of time than we are used to. We are looking for people who are artists, first and foremost, and have the ability to execute projects with passion, precision and a good degree of efficiency. We look for people who can not only handle criticism, but interpret criticism in a way that will bring about creative solutions. We need people who are a master at their craft, yet can also serve in a number of related capacities as needs arise. We want people who can work well on a team, and are always learning. We have recently taken many interns from Oklahoma State University. For animation, we are constantly impressed with the level of talent coming out of the online school Animation Mentor, and have even hired a couple from there. Draw all the time! Specifically draw with motion in mind. Study pantomime actors and dance for strong posing. Animate whenever possible. If you are starved for inspiration/motivation, force yourself to get involved in 11secondclub.com. The most challenging projects were often the most exciting. They were projects which we took on unsure of how we would eventually execute them. These were an opportunity to learn/grow. If I'm being completely honest, some of the most challenging work can also be very frustrating, like if the project involves clients who have a hard time communicating their needs. Learning to communicate the process and end results in terms others can understand is an important obstacle to overcome in animation. I was mostly self-taught. I have a very motivated, DIY personality when it comes to art. Much of my education came from purchasing books on animation (and animation software) and just going through it. Nowadays, tutorial videos are all over YouTube, and places like DigitalTutors.com offer video training at very affordable prices. I was also fortunate to land several great internships during high school and college. One had me working on a direct-to-video children's 3D animated feature, and another had me helping out on a AAA video game title. My formal education was a Bachelor of Science degree in Graphic Design for Video. My education continues everyday as I tackle projects which challenge my knowledge and abilities. We use Maya for 3D animation, Cinema 4D for 3D motion graphics, Zbrush for modeling, Flash for 2D animation, After Effects for compositing/effects/motion graphics, and Photoshop for everything in between. While I would recommend people to learn every piece of software, I believe a great place to start and focus is in the open-source arena. Great work is being done all the time on free, open-source software! Especially look into Blender (for 3D) and Gimp (2D graphics/animation). While software knowledge is good, what is more important to animation is the art/technique/execution of an idea by whatever tools are at your disposal. It is always exciting when you get to work with a truly creative client. When we were approached by The David Crowder Band to animate a music video for their single, Forever, we were given an enormous amount of creative control. The main guidelines were that it be a Speed Racer style story about an army of militant squirrels doing battle with the band. Those sorts of projects are a blast to work on and get me excited about what our team can bring to the table. The demand for animators is increasing daily. With more and more forms of media incorporating animation and interactivity, animation is being found everywhere. As a result, quality animators are in demand. On the other hand, animation-software and capabilities are becoming easier to come by, creating a larger number of people looking to get into the animation industry, so it is always important to learn principles/technique over software/tech in order to maintain an edge of quality over the competition.